Sickle cell crisis: A crisis of a different sort? 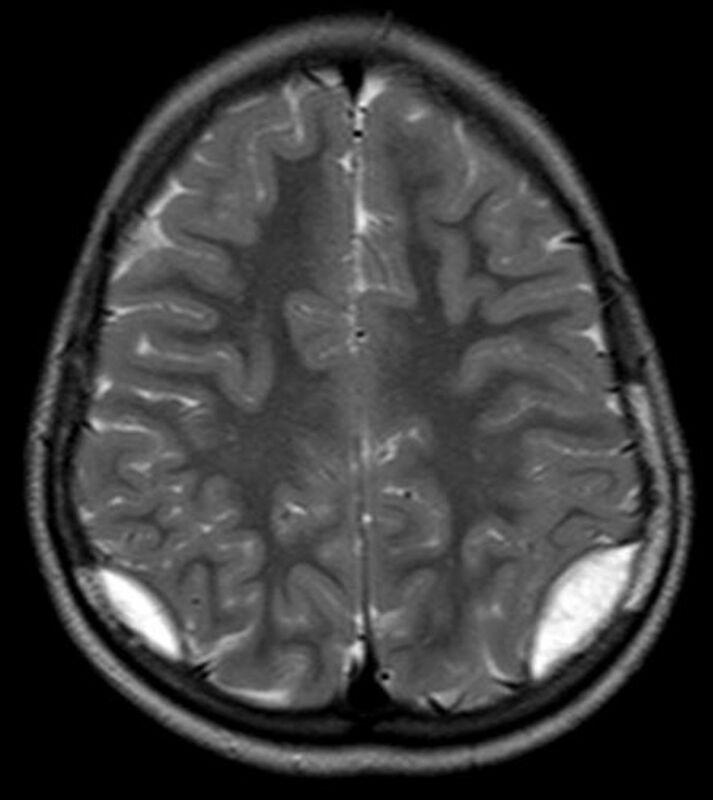 A 9-year-old boy with sickle cell disease (SCD) was presented to the emergency department with acute headache and swelling over his bilateral temporoparietal region. There was no history of antecedent trauma, fever, vomiting or other features of an intercurrent illness. On arrival, his blood pressure was 112/62 mm Hg, heart rate was 98/min and his Glasgow Coma Scale score was 15/15. There was evidence of significant scalp tenderness over the bilateral temporoparietal region. A complete neurological examination including direct and consensual pupillary response was unremarkable. Initial investigations revealed haemoglobin of 9.6 g/dL, leucocyte count of 6.8/mm3, platelet count of 219/mm3 and a normal coagulation profile. His current medications included hydroxyurea and penicillin prophylaxis. 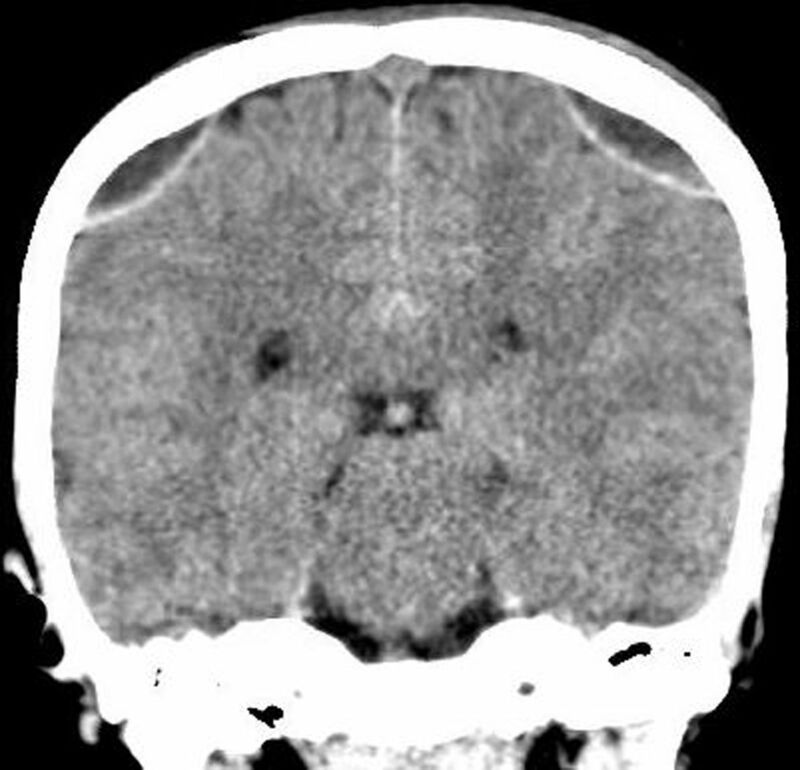 He underwent an urgent CT of the head followed by MRI of the brain, which revealed abnormalities as depicted in figures 1,2. Question 1 Is this one of the most common neurological presentation seen in sickle cell crisis? Question 2 How common is this presentation in paediatric SCD? Question 3 What is the best way to manage this child? Contributors GK was involved in writing the manuscript. AAAM was involved in managing the patient and data collection. APSS finalised the manuscript and is guarantor of the paper.